Rasbora heteromorpha common name harlequin rasbora. They grow up to 5 cm / 2 inches fully grown. They are best kept in water parameters of PH range 6.0-7.5 and temperatures of 22-25 Celsius / 72-77 °F. 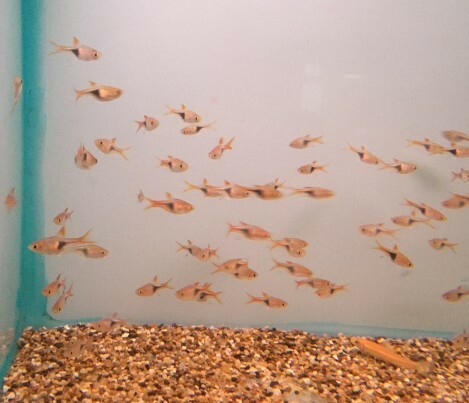 Harlequin rasbora are peaceful fish, and are best mixed with other smaller community fish. They can be very shy on there own, so it is best to mix them in groups. They have a diet of flake, small pellets, and granular foods. Also a treat of freeze dried, frozen or live foods is always good. 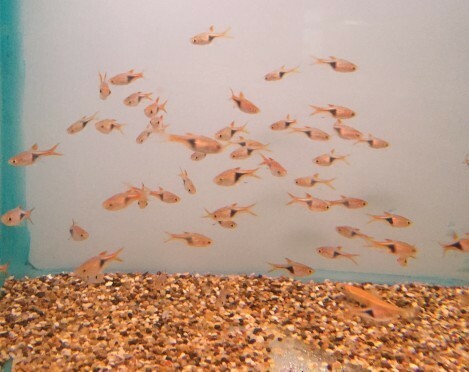 Harlequin rasbora are small fish they only require small size foods. 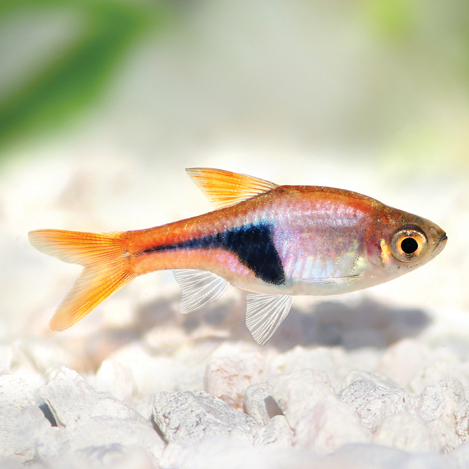 A colour enhancing food is good to feed the harlequin rasbora to keep there unique colours lovely and bright.